The Lost Generation. The Greatest Generation. Generation X. 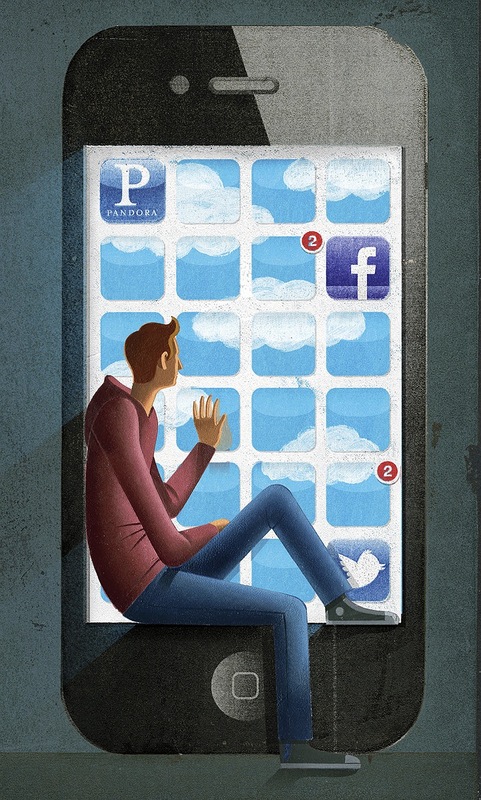 And now…the App Generation. “Are kids growing up in the digital age really different?” asks Howard Gardner, Hobbs professor of cognition and education. Six years ago, he and then-student Katie Davis, Ed.D. ’11 (now an assistant professor at the University of Washington) set out to explore the question, and in their new book, The App Generation: How Today’s Youth Navigate Identity, Intimacy, and Imagination in a Digital World (Yale), they argue that the answer is unambiguously yes. The app mindset, they say, motivates youth to seek direct, quick, easy solutions—the kinds of answers an app would provide—and to shy away from questions, whether large or small, when there’s no “app for that.” In a wide-ranging cultural critique, the authors identify myriad resulting effects loosely structured around three of the stages of psychosocial development proposed by Gardner’s mentor Erik Erikson in 1950—here called identity, intimacy, and imagination. The book’s most unexpected results come from its study of imagination. Prompted by Gardner’s curiosity about how his high-school literary magazine might have changed in the 50 years since he was editor, the authors examined hundreds of samples of adolescent visual art and fiction between 1990 and 2010. Using a blind coding scheme to measure changes in topics such as subject, composition, and narrative flow, the authors concluded that graphic art has become more imaginative and diverse in the past 20 years, whereas creative writing has shown the opposite trend. Though they acknowledged that all of their work is correlative, not causative, they speculated that the difference may reflect the emergence of online communities like deviantART and tools like Photoshop that increase amateur engagement with graphic media; in contrast, instant messaging and texting have largely supplanted more formal, written communications. The authors suggest that digital tools promote what they call “middle c” creativity, between the “little c” creativity of everyday problem-solving and the “Big C” of groundbreaking achievements. Though software may lower the bar for creative engagement, they write, users may never move beyond the tools’ inherent limitations. “When do things that are optional become blinkers on how we see the world?” asks Gardner. He and Davis argue that people can be app-enabled, using apps as tools to eliminate tedious tasks and catalyze new forms of exploration, or app-dependent, relying heavily on the available tools as a substitute for skill and reflection. And the authors argue that automation itself is a dual-edged sword. “Who decides what is important?” they write. “And where do we draw the line between an operation”—using a GPS to navigate to Boston’s North End, for instance—“and the content on which the operation is carried out?”—orienting oneself in the city. Gardner points out that many of today’s teens have never been lost, either literally or metaphorically, and that many don’t even see the point of a “random walk,” an experience that he argues can build independence and resilience.